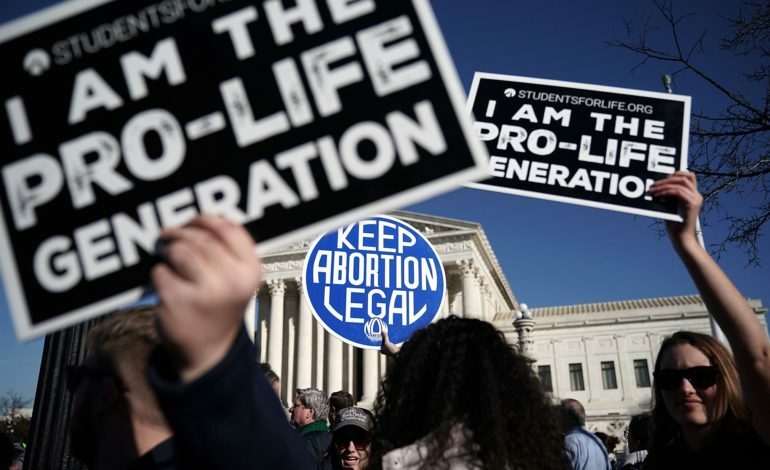 The U.S. Supreme Court on Thursday blocked Louisiana from enforcing a law that women’s groups said would leave only a single doctor legally allowed to perform abortions in the state. By 5-4 vote, the court said the restrictions must remain on hold while challengers appeal a lower court decision in favor of the law. It was the Supreme Court’s first significant action on the hot-button issue of abortion since Donald Trump’s nominee, Brett Kavanaugh, replaced Anthony Kennedy, who generally voted with the court’s liberals to uphold abortion rights. The vote was not a ruling on the legal merits of the Louisiana restriction, but the decision to keep the law on hold signals that a majority of the justices have doubts about its constitutionality. Passed by the state legislature in 2014, the measure requires any doctor offering abortion services to have admitting privileges at a hospital within 30 miles. Two Louisiana doctors and a clinic filed a legal challenge, arguing that it was identical to a Texas law the Supreme Court struck down in 2016. In that ruling, joined by Justice Kennedy, the court said Texas imposed an obstacle on women seeking access to abortion services without providing them any medical benefits. But Louisiana officials urged the Supreme Court to let them begin enforcing the law. They said the challengers’ claim of harm rested on the fear that clinics would be shut down overnight. “But that is not correct. Louisiana envisions a regulatory process that begins, logically, with collecting information from Louisiana’s abortion clinics and their doctors,” the state said.